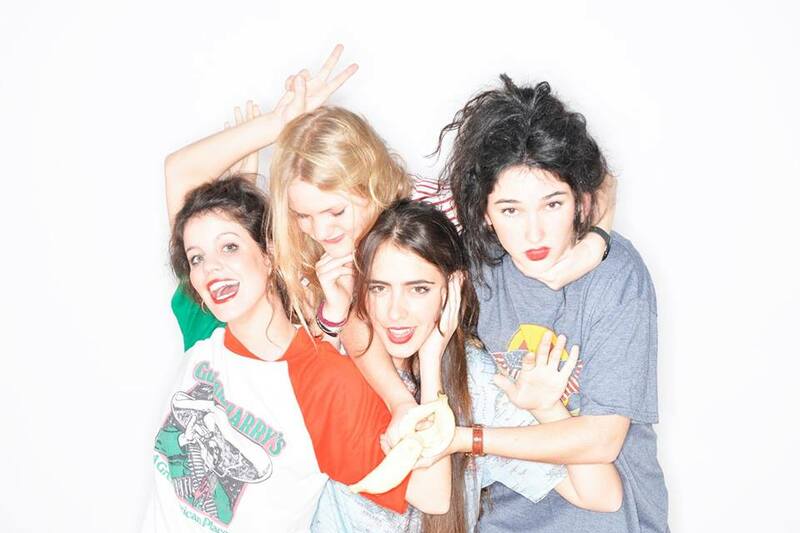 Hinds, formerly known as Deers, originally started as a duo of members Carlotta and Ana. Based in Madrid, the two started recording music that immediately received positive attention from magazines such as The Guardian and NME. Later expanding to a four-piece band with fellow members Ade and Amber, Hinds has continued to make appealing, lo-fi music accompanied by their fun, free-spirited attitudes, and growing recognition in today’s music scene. Despite it only being April, Hinds have been extraordinarily busy touring this year, having already covered festivals like South by Southwest, and now heading to Spain, Ireland, the UK, and France, among others. With an album being released this year, Hinds can only go up from here. The band was formerly known as Deers, but had to change the name for legal reasons. How did you decide on a new name? The band recently played at South by Southwest in Texas, and is set to play several more shows in the United States and Europe. What has been your favorite place to perform thus far and why? we have loved BURGERAMA. a festival full of kids freaking out ’cause maybe it is their first festival ever… everything is so familiar… beers and burger forever free… oh god! How do you feel Spain has influenced you as a band? Spain is such a deep influence that it’s just inside our blood. everything we do is in some way influenced by our spanish brain. What are the band’s plans for 2015? The band originally started as a duo, and then became of four-piece group. What is your process like in writing and creating music together as a band? ana and carlotta (here speaking) we still take the main part of the composition, but still when we have the main body of a song we go to our rehearsal place and we search for a bass and drums that we think that fits with the energy of the song and so. This entry was posted in Uncategorized and tagged Deers, Hinds, Interview, Music, New Album, Q&A, South by Southwest, Spain. Bookmark the permalink.